You know Umami Burger. You love Umami Burger. You... kind of want a pizza. And you’d like to get it within 60 seconds of conceiving it. Give or take. Welcome to 800 Degrees, a cavern of custom pizzas cooked fast—like really fast—now open in Westwood with the help of the Umami owner. Once that’s all decided, they’ll throw it in one of the two wood-burning ovens (you may be able to guess how hot they get). They’ll crank out a thin, chewy Neapolitan-style pizza in the amount of time it’ll take you to fish out some money and pay for the thing. 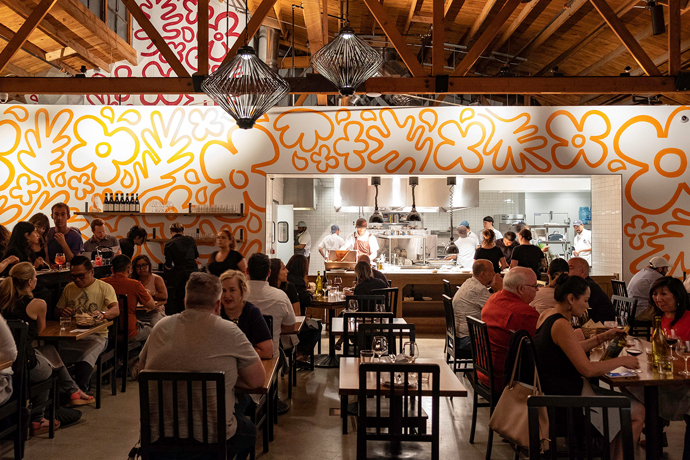 And since they’re open from 11am to 2am every day, you can do all this for a quick work lunch, or before a low-key art date at the Hammer Museum, or when you need to sop up some Westside beer before you call it a night. Or anytime you’ve got somewhere to be... in 90 seconds.